The saying goes, “don’t judge a book by its cover.” We say, “don’t judge a pair of boots by their exterior.” These Reebok Men's Brown RB4333 Tiahawk EH Internal Met Guard Composite Toe Boots are a sporty, handsome pair of work boots. Made of brown, leat ... (see full details) (see specifications) #RBKRB4333. The saying goes, “don’t judge a book by its cover.” We say, “don’t judge a pair of boots by their exterior.” These Reebok Men's Brown RB4333 Tiahawk EH Internal Met Guard Composite Toe Boots are a sporty, handsome pair of work boots. Made of brown, leather uppers, they can easily be worn out to dinner or a night on the town. These might seem like just another great-looking pair of safety toe boots, but don’t be fooled. Inside, they have some heavy-duty protective features to take you from a night out on the town to the dangerous worksite. This footwear is 100% non-metallic and feature an ASTM-rated composite toe. Your toes will be safe from falling and rolling objects. The fact that they’re non-metallic means you won’t set metal detectors off at work or at the airport. That means no stares by annoyed passengers when you cause a back-up in the security line. In addition, these tough shoes have Flex-Met internal metatarsal guards to deliver a powerful punch of protection. Flex-Met is an anatomically shaped appliance permanently inserted internally in the instep area of the shoe and designed to provide additional protection to the instep area. Flex-Met meets or exceeds the ASTM F2413-05 standard for Metatarsal footwear. Electrical hazard rated, you’ll be safe around live electrical circuits. For your comfort, the Tailex lining in this footwear will surround your feet in silky-softness while simultaneously working to wick uncomfortable moisture away. The removable cushion insert with sponge heel wedge delivers undeniable softness to your hardworking feet. Not enough cushioning for you? How about an EVA midsole for arch support? Still not enough? How about a PU cushion heel pillow? Your heel get their very own pillow! If your heels aren’t comfortable, then there’s something wrong with your feet (kidding, of course). All kidding aside, these premium boots are undeniably comfortable. These durable shoes aren’t just working hard on the inside. On the outside, the rubber outdoor traction bottom is working just as hard to give you excellent grip and slip-resistance. The outsole is even oil-resistant, heat-resistant and chemical-resistant. Don’t judge a pair of work boots by their exterior. All shoes aren’t created alike. While the Reebok Men's Brown RB4333 Tiahawk EH Internal Met Guard Composite Toe Hiking Boots look like your typical sporty, handsome men's boots, don’t be fooled. There’s more than meets the eye. Inside they’re loaded with lots of hidden safety features. If you liked the Converse C4333 you will love the Reebok RB4333. I have been wearing these for about three months now. They are a lot lighter in weight then I thought they would be and fairly comfortable. I haven't had any sore feet throughout the work day. I do a lot of walking throughout the plant and so far these boots have had no issues keeping up with me. The "break in" period was painless as well. These Reebok shoes are actually pretty good despite its style. They're like brown leather shoes that looks like a little bit of sneakers. I'm confused, honestly. But they're overall quality is great inside out - no complains so far! Light and durable. I'd recommend them to anyone any day. 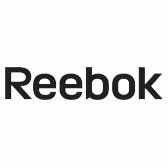 Reebok Boots: Men's RB4333 Tiahawk EH Internal Met Guard Composite Toe Boots is being added to your cart.